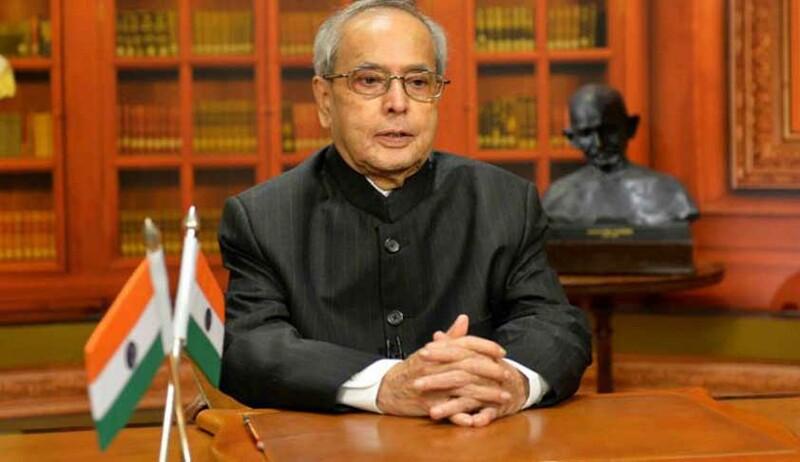 President of India Dr. Pranab Mukherjee in his address to the nation on the eve of India’s 70th Independence Day, 2016 stated that the Constitution has clearly defined the duties and responsibilities of every organ of the state. “It has established the ancient Indian ethos of “Maryada” as far as Authorities and Institutions of State power are concerned. The spirit of the Constitution has to be upheld by adherence to this “Maryada” by the functionaries in the discharge of their duties”, He added. He also stated that Our Constitution is not only a political or legal document but also an emotional, cultural and social contract. “My distinguished predecessor Dr. Sarvepalli Radhakrishnan had said on the eve of Independence Day fifty years ago and I quote: “We have adopted a democratic Constitution. It helps us to maintain our individuality in the face of mounting pressures for standardized thinking and acting…….. Democratic Assemblies serve as safety valves for social tensions and prevent dangerous explosions. In an effective democracy, its members should be willing to accept law and lawful authority. No man, no group can be his or its own law giver.” “Democracy is more than a periodic exercise of choices to elect the government. The great tree of liberty requires constant nourishment through the institutions of democracy. Disruptions, obstructionism and un-mindful pursuit of a divisive political agenda by groups and individuals lead to nothing but institutional travesty and Constitutional subversion. Polarizing debates only deepen the fault lines in public discourse”. He also observed in the just-concluded session of Parliament, the passage of the Constitution Amendment Bill for the introduction of GST amidst non-partisan and quality parliamentary deliberations is reason enough to celebrate our democratic maturity. On the eve of sixty-ninth anniversary of our Independence, I extend warm greetings to all my brothers and sisters in the country and abroad. As we celebrate our seventieth Independence Day, I respectfully bow to the heroes of our independence struggle - known and unknown - who fought, suffered and sacrificed their lives to win freedom for us. Mahatma Gandhi’s luminous leadership finally made the British Quit India in 1947. When we gained independence in 1947, nobody believed that India will survive as a democracy. Yet, seven decades later, one and a quarter billion Indians with all their diversity have proved those forecasts wrong. The strong edifice of democracy built by our founding fathers on the four pillars of justice, liberty, equality and fraternity has withstood several threats from both within and without and has grown from strength to strength. This is for the fifth time that I speak to you on the eve of Independence Day. In the past four years, I have seen with some satisfaction a stable and progressive democracy in full play with peaceful transfer of power from one party to another, from one government to another, and from one generation to another. Notwithstanding the different hues of political thought, I have seen the ruling party and the opposition coming together in pursuit of national agenda of development, unity, integrity and security of the nation. In the just-concluded session of Parliament, the passage of the Constitution Amendment Bill for the introduction of GST amidst non-partisan and quality parliamentary deliberations is reason enough to celebrate our democratic maturity. In these four years, I also saw with, some disquiet, forces of divisiveness and intolerance trying to raise their ugly head. Attacks on weaker sections that militate against our national ethos are aberrations that need to be dealt with firmly. The collective wisdom of our society and our polity gives me the confidence that such forces will remain marginalized and India’s remarkable growth story will continue uninterrupted. The safety and security that we provide to our women and children determines the well-being of the state and society. Every incident of violence against a woman or a child inflicts a wound on the soul of the civilization. We cannot call ourselves a civilized society if we fail in this duty. Democracy is more than a periodic exercise of choices to elect the government. The great tree of liberty requires constant nourishment through the institutions of democracy. Disruptions, obstructionism and un-mindful pursuit of a divisive political agenda by groups and individuals lead to nothing but institutional travesty and Constitutional subversion. Polarizing debates only deepen the fault lines in public discourse. Our Constitution is not only a political or legal document but also an emotional, cultural and social contract. My distinguished predecessor Dr. Sarvepalli Radhakrishnan had said on the eve of Independence Day fifty years ago and I quote: “We have adopted a democratic Constitution. It helps us to maintain our individuality in the face of mounting pressures for standardized thinking and acting…….. Democratic Assemblies serve as safety valves for social tensions and prevent dangerous explosions. In an effective democracy, its members should be willing to accept law and lawful authority. No man, no group can be his or its own law giver” (unquote). The Constitution has clearly defined the duties and responsibilities of every organ of the state. It has established the ancient Indian ethos of “Maryada” as far as Authorities and Institutions of State power are concerned. The spirit of the Constitution has to be upheld by adherence to this “Maryada” by the functionaries in the discharge of their duties. One unique feature that has held India together is our respect for each other’s cultures, values and beliefs. The very essence of plurality lies in cherishing our heterogeneity and valuing our diversity. In the networked environment of today, a caring society can only be developed by harmonizing religion with modern science. Swami Vivekananda had once observed and I quote: “What is needed is a fellow-feeling between the different types of religion, seeing that they all stand or fall together, a fellow-feeling which springs from mutual respect, and not the condescending, patronizing, niggardly expression of goodwill” (unquote). It is true, as was pointed out in a famous speech made on this very day 69 years ago by Pandit Nehru that in a nation’s history, moments come when we step out from the old to the new, when the soul of a nation finds utterance. But it is also important to realize that such moments are not strokes of luck that come upon us by surprise. A nation can and must strive to create such a moment. We must take destiny in our own hands to build the India of our dreams. Backed by strong political will, we have to create a future which will economically empower six hundred million youth, build a digital India, a start-up India, and a skilled India. As we build an India of hundreds of smart cities, towns and villages, we must ensure that they are humane, hi-tech and happy places leading to the creation of a technology-driven but compassionate society. We should promote and reinforce a scientific temper by questioning our beliefs which are not compatible with scientific way of thinking. We must learn to challenge the status quo and refuse to accept inefficiency and slipshod work. In a competitive environment, a sense of immediacy and some impatience is a necessary virtue. India will grow, only when all of India grows. The excluded ones have to be included in the development process. The hurt and the alienated have to be brought back into the mainstream. In this age of technological advance, machines are being pitted against men. The only way to survive this is to acquire knowledge and skills, and learn to innovate. Inclusive innovations linked to the aspirations of our people can benefit a wide spectrum of society as well as preserve our diversity. We as a nation must nurture creativity, science and technology. Here, our schools and institutions of higher learning have a special responsibility. We often celebrate the achievements of our ancient past but it would be wrong to rest on our laurels. It is much more important to look to the future. It is time to join hands to cooperate, innovate and advance. India has had remarkable growth in recent times, often growing above eight percent per annum over the last decade. International agencies have acknowledged India’s status as the fastest growing major economy in the world and recognized major improvements in indices of ease of doing business and logistics performance. The start-up movement and the innovative spirit of our young entrepreneurs have also attracted international attention. We must build on our strengths so that, this lead can be sustained and furthered. A normal monsoon this year gives us reason to cheer, unlike the past two years when below normal rains created agrarian distress. The fact that despite two consecutive drought years, inflation has remained below 6 percent and agricultural output has been stable, is a testimony to our nation’s resilience, and to how far we have progressed since Independence. Our foreign policy has shown considerable dynamism in recent times. We have reinvigorated our historic bonds of friendship with traditional partners of Africa and Asia Pacific. We are in the process of forging new relationships based on shared values and mutual benefit with all countries, especially our immediate and extended neighbourhood. There will be no stepping back on our “neighbourhood first policy”. Close bonds of history, culture, civilization and geography provide the people of South Asia with an extraordinary opportunity to carve out a common destiny and to march together towards prosperity. This opportunity must be seized without delay. India’s focus in foreign policy will remain on peaceful co-existence and harnessing technology and resources for its economic development. Recent initiatives have enhanced energy security, promoted food security, and created international partnerships to take our flagship development programmes forward. The world has witnessed a spate of terror activities having their roots in radicalization of people on the basis of religion. These forces apart from killing innocent people in the name of religion also threaten to disturb geopolitical divides, which could prove disastrous for world peace. The inhuman, mindless and barbaric modus operandi of such groups have been visible in France, Belgium, United States, Nigeria, Kenya and closer home in Afghanistan and Bangladesh recently. These forces now pose a danger to the entire comity of nations. The world will have to fight them unconditionally and in one voice. For all the challenges that we see in front of ourselves I have a great belief in our innate and inherent capacity as an ancient country whose soul and jijivisha- the will to live and excel can never be suppressed. Various forces external as well as internal have tried to smother this soul of India over millennia but every time this soul has emerged more powerful and more glorious having neutralized, assimilated and incorporated every challenge that it faced. India through its unique civilizational contribution has repeatedly conveyed the message of peace and harmony to the trouble-torn world. In 1970, historian Arnold Toynbee had the following to say about India’s role in contemporary history. I quote: “Today, we are still living in this transitional chapter of the world’s history, but it is already becoming clear that a chapter which had a Western beginning, will have to have an Indian ending, if it is not to end in the self-destruction of the human race” (unquote). Toynbee further went on to say that at the cross roads of human history, the only way of salvation of mankind is the Indian way. On this occasion, I convey my special greetings and gratitude to the members of our armed forces, paramilitary and internal security forces who are at the fore front of guarding and preserving the Unity, Integrity and Security of our motherland.